Yes, we know there is much hype surrounding some of the blockbuster features making appearances at San Diego Comic-Con 2014 such as The Avengers: Age of Ultron and The Hobbit: the Battle of Five Armies. But if you’re attending the geek convention this week, then why not also check out the expo’s International Independent Festival? Take advantage of the opportunity for a first look at upcoming movies, those typically lesser-known than the major box-office drawers. 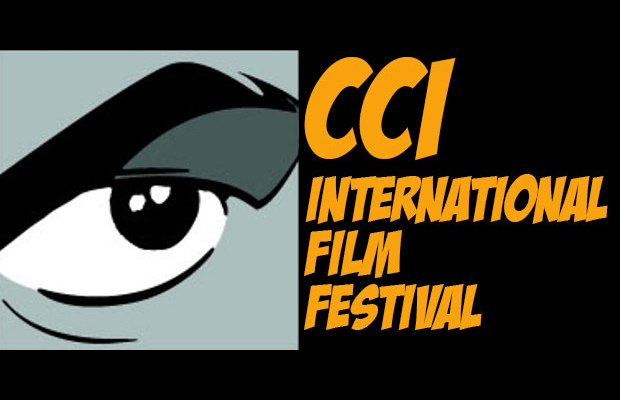 From action-adventure to comedy to horror, this year’s Comic-Con International Independent Festival has it all. You’re in for a treat! Come to the Secondary Education screening for your dose of action-packed adventure. A tale of three high school students who discover that their chemistry teacher masquerades as a crime fighter, they accidentally become tangled up in a showdown with a villainous mutant lobster. If you are into ‘90’s after-school specials and the Japanese Tokusatsu genre, then this film is the one for you. This short, 20-minute film pays homage to the most popular zombie franchise, celebrating its 10th Anniversary by looking back on the highlights from both the comic books and television series. The documentary includes interviews from the creator Robert Kirkman, as well as actors from the show. Love comic strips? If so, then check out Stripped, a beautifully crafted documentary that celebrates the history of cartoons and the illustrators who have made it happened. Get the inside scoop on beloved funnies, including Garfield, Calvin and Hobbes, Mutts, and more. Talk about a superhero movie with a catch. Down-on-his-luck high-schooler Denny Burke goes on a rock climbing trip with friends and discovers supernatural elements ,which alter his genetic code. He receives superhuman powers and must decide whether to give them up and stay human, or keep them and move beyond the human race. A tale about power and sacrifice, this film profoundly looks into the psyche of the superhero genre. This is not your typical body-switching film. Being Doug takes this much-used concept and spins it on its head. It tells the story of Doug, a demurred puppeteer, and Sid, his ventriloquist dummy, who one day switch bodies. Doug needs to figure out how to control Sid, now in possession of his body and is attempting to gain control of the woman he loves. This sidesplitting comedy should leave you in stitches! Did you know Mickey Mouse was not the first cartoon character created by Walt Disney? Before the iconic mouse blessed the small screen, there was Oswald the Lucky Rabbit, a mischievous bunny that became a hit during the era. The Forgotten Rabbit recounts the story of Oswald, his creation and popularity, and ultimately his downfall, when Disney lost the rights to him. It is a tale bittersweet and nostalgic, a poignant documentary about the early years of Disney’s animation career. Valiant is a sci-fi, futuristic short film about the Valiant Three: a group of air pirates who set off on a journey to return a lost princess to her father. Filled with action and adventure, the short will transport you to a whole new universe and dazzle with impressive special effects.